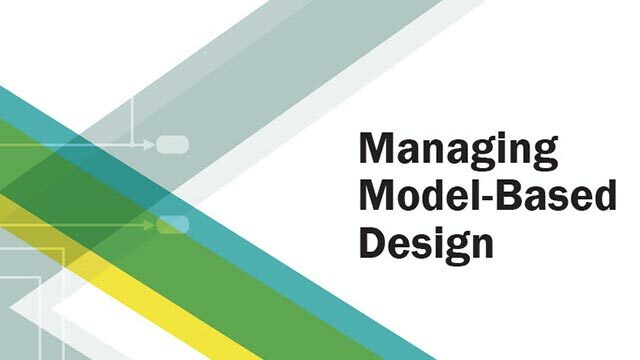 When model simulation slows down or stops responding, a close examination of the dynamics of the model can help you identify the factors affecting the simulation. Understanding solver behavior enables you to interpret how the model simulates and what causes the solver to take small steps. The Solver Profiler analyzes a model for patterns that affect its simulation. 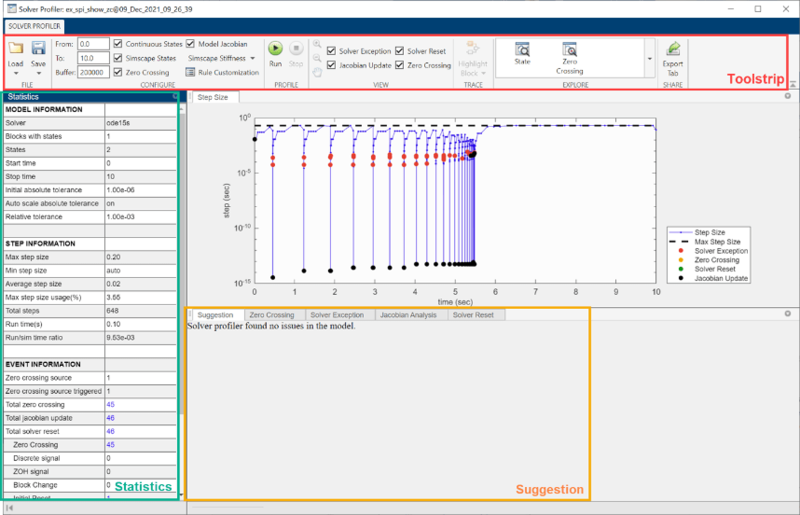 The Solver Profiler presents graphical and statistical information about the simulation, solver settings, events, and errors. You can use this data to identify locations in the model that caused simulation bottlenecks. These events are common and necessary for an accurate simulation. However, they do incur computational cost and frequent occurrences can slow down or even stall the simulation. Open the model that is simulating slowly or unsuccessfully. Open the Solver Profiler by clicking the hyperlink in the lower-right corner of the Simulink® Editor. The Solver Profiler provides smart logging and diagnostics of continuous model states and Simscape™ states. To enable this, select the Continuous States or Simscape States option before a run. Disable these options only if you are running out of memory. After the run, access the States Explorer or Simscape Explorer to examine those states. Click Run. The profiler simulates the model and starts capturing solver performance data. When the simulation ends, the profiler displays the statistics and exceptions it captured over the duration of the simulation. You can pause or stop the simulation at any time to view the information captured until that point. Use the profiler plot to highlight the parts of the model that caused generate the most events. Click Save to capture your profiling session, or exit without saving.